No one will be allowed to wear masks at the Mongol Shobhajatra. 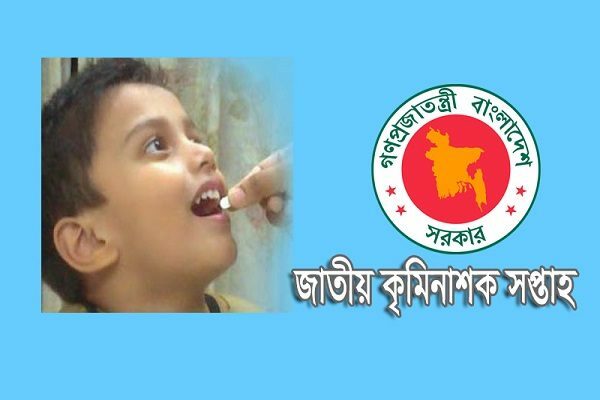 Public celebrations on Pohela Boishakh must conclude by 5pm. Clad in colorful attires thousands of people take part in the traditional Mongol Shobhajatra festooned with life-sized replicas of bird, fish, animals, and other motifs, brought out on Pohela Boishakh. The home minister says no one will be allowed to wear masks at the Mongol Shobhajatra and celebrations must conclude by 5pm. 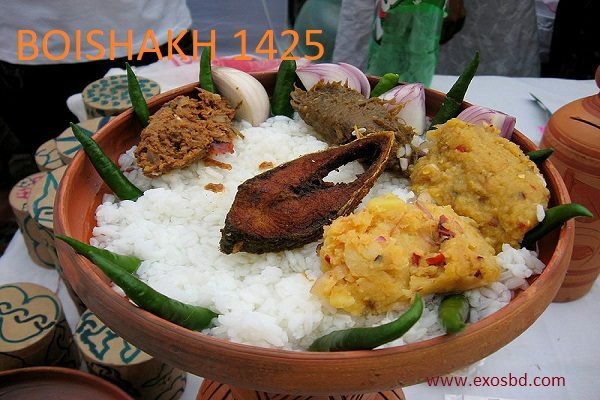 Stringent security measures have been taken to ensure the smooth celebration of Pohela Boishakh, the first day of Bangla month Boishakh that falls on April 14, across Bangladesh, Home Minister Asaduzzaman Khan Kamal has said. 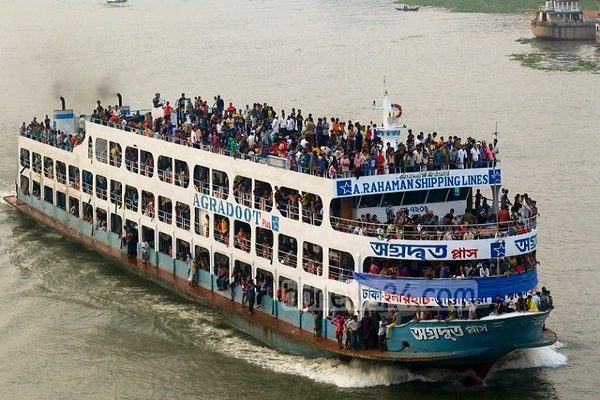 The minister said the authorities concerned have also been asked to refrain from organizing any cultural events at open places after 5pm and Rabindra Sarobar authorities have been asked to end their program by 7pm that day. Although there is no chance of disorder during the celebrations, the government has taken these decisions to ensure overall public safety,” he said. However, all celebratory programs at open spaces in Dhaka would have to conclude by 5pm, he told reporters after a meeting on the preparations for Pohela Boishakh at the Secretariat Tuesday afternoon. The inspector general of police, director general of the Rapid Action Battalion, Dhaka Metropolitan Police commissioner, and high officials of other law enforcement agencies were present at the meeting. The home minister said several watch towers and adequate search lights would be installed at Ramna Botomul area, adding that a number of mobile courts would be deployed in Ramna and Dhaka University areas to avoid subversive activities. Plainclothes officers will also be on duty to prevent any criminal activities, including sexual harassment, he said. 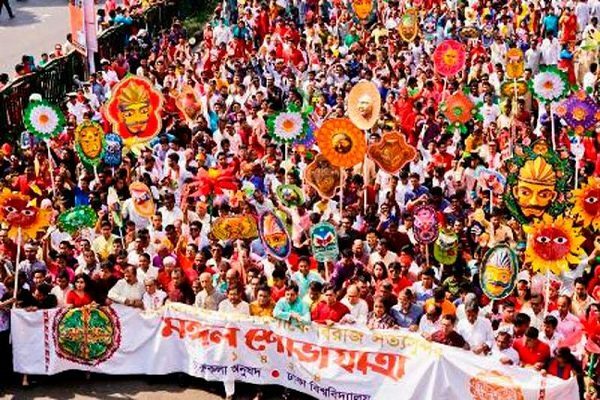 Kamal added that no one would be allowed to wear masks at Mongol Shobhajatra, the colourful procession brought out every year on Pohela Boishakh by the Faculty of Fine Arts of Dhaka University. The Shobhajatra will also be cordoned off by police for the sake of security, he said. “The whole city and the venues of Pohela Boishakh programs will be under CCTV camera surveillance to ensure security,” he said. The minister added that people would be able to have pure drinking water from 20 points of the capital free of cost. Responding to another query from the reporters, Kamal said the government would take measures to ensure proper medical treatment for BNP chief Khaleda Zia after receiving the test reports from the doctors. A team of Dhaka Medical College Hospital doctors on Sunday examined Khaleda’s health condition at the old Dhaka central jail after she fell sick last Thursday. The BNP chairperson is currently serving a five-year jail sentence after being convicted in a corruption case in February. 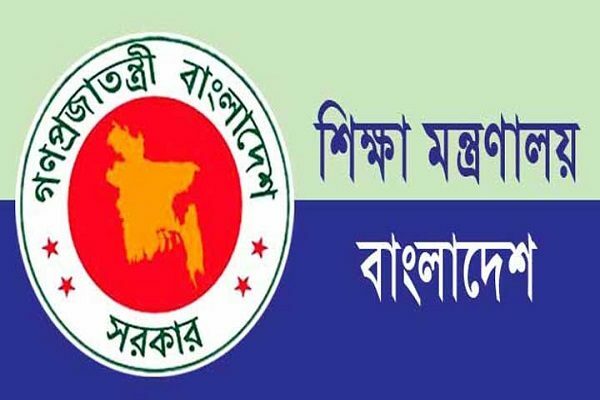 Replying to another question, the home minister on Tuesday also said government agencies were actively working to find Rangpur Special Court’s Public Prosecutor Rathish Chandra Bhowmik, who went missing last Friday. A prominent figure in Rangpur’s lawyers’ community, Rathish had represented the state in the murder cases of Japanese national Hoshi Kunio and shrine caretaker Khadem Rahman Ali.